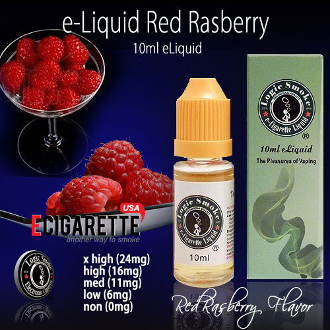 Our Red Raspberry E-liquid from Logic Smoke is a wonderfully refreshing raspberry flavor that is easy on the taste buds and will keep you coming back for more. With every inhale you'll experience sweet fruit flavor and an enjoyable soft raspberry aroma with every exhale. Pick up a bottle of Logic Smoke E-liquid and experience berry satisfaction.